There is a debate that has been raging on over the years. The question being posed is with regards to the stages of reading. Is there a specific time period that can be defined as to when we switch from ‘learning to reading‘ to ‘reading to learn‘? To even begin to broach the subject we must understand the process of learning to read. Learning to read is just that, a process. Through this process we are looking to attain the skills necessary for reading. Unfortunately the discussion about learning to read seems to hit a brick wall when those within the discussion are good readers. The problem is that for those with the skill, it seems to have come naturally. No one can remember the day when they couldn’t read or when they struggled with the reading. In reality, the skill of reading has been built, brick by brick, to include cognitive, linguistic, and social skills that have been cultivated years before reading actually begins. This process continues throughout the academic careers of the children and overlaps with the family network. 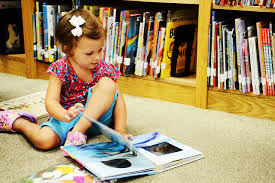 Now here’s the debate… “when do children stop learning to read and begin reading to learn”. 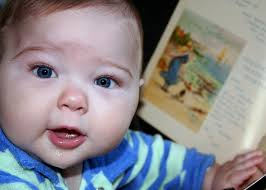 This age is often defined as the stage called fluency or comprehending reader. Many educators have identified as 4th grade. This MYTH has been influencing reading instruction and educational policy for many years. The problem is that it doesn’t work! Children should be learning to read and reading to learn simultaneously and continuously from preschool through middle school and even beyond that. Comprehension is a critical piece of the learning process and cannot be left behind to focus on sight words and phonics. Our new focus comes in with the Common Core. Students are now expected to read the complex text independently at every stage of development. Therefore, teachers much teach reading explicitly. With the assistance of the teacher, students can acquire the skills needed and the understanding of continued practice as well as a growth mindset so that learning to read and reading learn becomes a lifelong process. Individuals can increase in proficiency throughout their lifetime.